Provide comfort for the family of Helen Werry with a meaningful gesture of sympathy. Born September 20th, 1919 – March 1st, 2019. 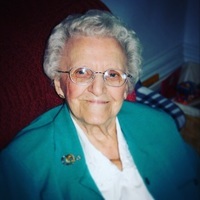 To send flowers in memory of Helen Louise Werry (Metcalf), please visit our Heartfelt Sympathies Store. Carolyn & Mac, Donald & Barbara, James & Jennifer sent flowers to the family of Helen Louise Werry (Metcalf). 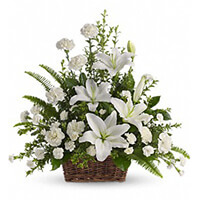 Carolyn & Mac, Donald & Barbara, James & Jennifer purchased the Peaceful White Lilies Basket for the family of Helen Werry. You have my deepest sympathy, may your memories give you strength. R.I.P. Mrs Werry.